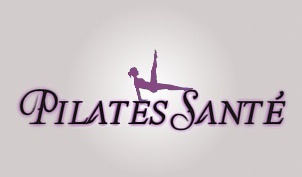 Pilates Santé was created to help all people, no matter their current capacity, to get fit and healthy. The Pilates exercises taught are very safe and simple. They effectively isolate muscles in order to reinforce joints and to increase their capacity, flexibility and endurance. You no longer have to be a professional dancer or gymnast to follow these pilates movements because they are more secure than those found in traditional pilates. Pilates Santé incorporates today’s scientific knowledge and understanding of safe and healthy movement with the exercises found in traditional Pilates. Idéalement situé à Nice Ouest à proximité du centre d’affaires Arénas et du Parc Phoenix, notre studio de Pilates propose des cours de groupe et des cours de pilates individuels. Ideally located in west Nice just steps away from the busy Arenas business center and the Nice Cote d’Azur Airport, our studio offers private pilates classes as well as group lessons. We are pleased to welcome you in a calm and relaxing atmosphere. We all know how important it is to keep a healthy active lifestyle but its can be hard to accord the time it takes to achieve it. In order to make this task one step easier we decided to bring the sessions to you, in the comfort of your own home. Pilates Santé is based out of Nice but encompasses the Cote d’Azur region, ranging from Cannes, Antibes, Cagnes-Sur-Mer, and all the way till Monaco.